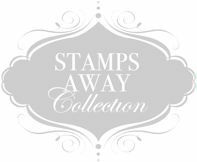 We are pleased to announce that Stamps Away acquired Crafty Notions in Decmember 2014, giving us access to many exciting products that work well with our own range and also brings us new areas of crafting to explore. We are currently working to get these new products onto craftswholesale and expect this to be completed by the end of February. In the meantime you can access our trade catalogue by logging in to your account and then following the link that appears after you login. If you have any questions regarding Crafy Notiions then please get in touch. We are a UK manufacturer so all products are manufactured or packaged by ourselves here in the UK. We are currently delivering orders within 5 working days. During busy periods this may increase. Welcome to CRAFTS wholesale, trade only craft website. To navigate around our online catalogue please click on the shopping categories on the left. If you are a genuine trade customer then we invite you to create an account, once accepted, you will be able to see prices for the products shown and place trade orders. We offer great discounts to the trade and our 'No Minimum Order' policy means you do not have to hold large amounts of stock or make large outlays for new products. Our FAQ/help section and our About Us section should answer any questions you have. And in the meantime we hope you enjoy the products and the CRAFTS wholesale website.